They are amazing. I needed work done within a certain time frame, and they were able to get someone on the jobsite and completed the work within the time frame that I had. I liked that they were efficient, the staff and their service. They have a very competitive price and they delivered on what they promised. They have good quality and they're very prompt. It's a fabulous company. Everything that they did was very professional, but I particularly liked dealing with Eddie. It's incredibly well run and the communication happens the way it should. They're very smart when they come to repair something and the people are great. They're totally friendly, responsive, and prompt with appointments. They really think about how something could be repaired and what could be wrong with it. I have a funky old furnace and they've done a great job with it. I think they're a terrific outfit. Tim Hassler is CFO of Hassler Heating & Air Conditioning. 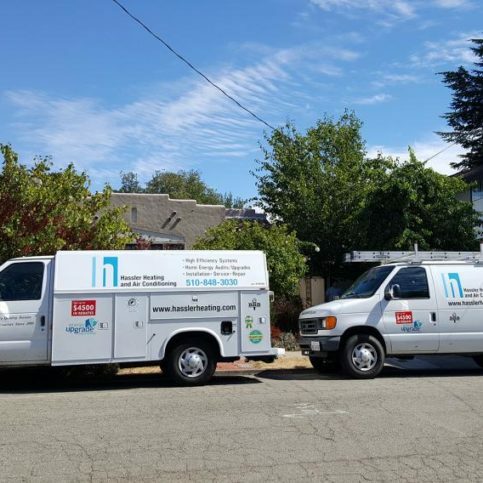 Hassler provides a wide range of HVAC and home performance services, from maintenance, repairs and complete system replacements to energy efficiency upgrades such as air draft sealing, crawl space moisture treatment systems and insulation installation. 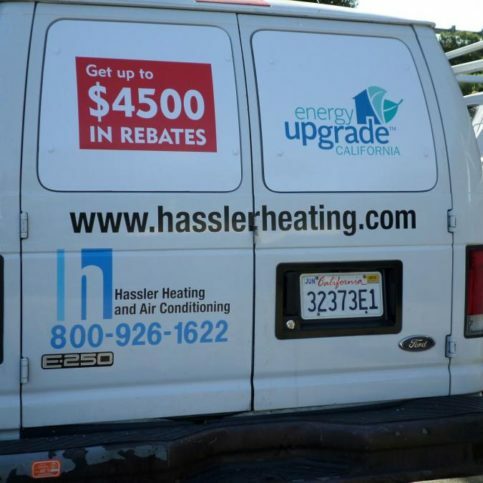 Hassler is a participating contractor in PG&E’s Energy Upgrade California Advanced Home Upgrade program, which offers homeowners up to $6,500 rebates for home efficiency improvements. Hassler takes a scientific, “whole house” approach to improve its customers’ indoor health, energy efficiency and home comfort. 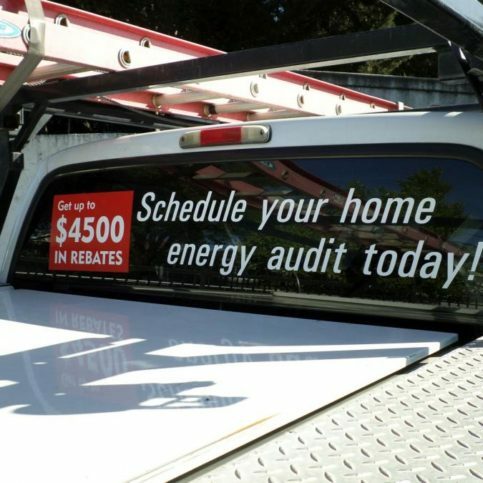 If you’re a homeowner, consider the benefits of an energy audit. Home energy audits survey the use of energy in a home by showing where energy is lost through inadequate insulation, duct cracks, ventilation problems, faulty HVAC systems, old appliances, and other systems and materials within the home. 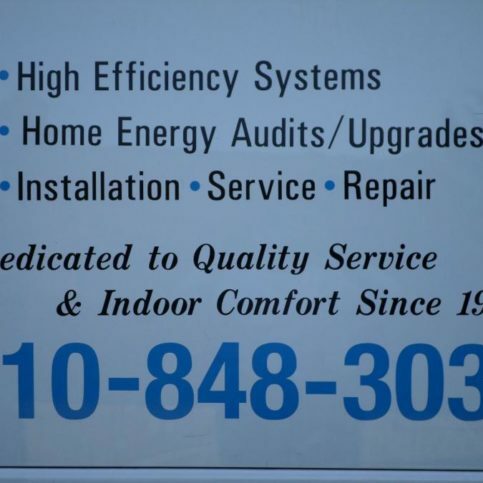 A good home energy audit will culminate with a final analysis or report of the findings and provide you with a suggested list of repairs, additions or upgrades that will help your house use energy more efficiently and create a more comfortable indoor environment. Home energy audits may include a combination of a walkthrough visual inspection that looks for cracks or faults in windows, doors, skylights, walls, ceilings and other areas of the building envelope. It may also include an evaluation of the appliances and systems present in the home. Some home energy auditors may also view utility records and use specialized equipment to test for air leaks, roof and shading concerns, and customer behavior. Home energy audits are usually a wise investment, especially for homeowners who live in older homes, feel that their systems are running inefficiently or are uncomfortable in certain areas of their homes due to inefficient heating and cooling. Home energy audits performed by qualified companies can highlight energy loss and inefficient systems and suggest fixes to these problems, which can result in lower utility bills, a more comfortable home and healthier family members. Q: How do I improve the air quality inside my home? A: We offer more than a dozen solutions for indoor air quality. We’ll give you a list of all the options that are available to you and help you make a decision that meets your particular needs and budget. Q: Can you balance the temperature in my home if I have rooms that are too hot or too cold? A: Yes. Uneven temperature usually indicates a ductwork balancing issue, and we can help with that. Our general contracting license allows us to work on ventilation, insulation, ductwork, HVAC units and other components that might contribute to your rooms being too hot or too cold. Q: Is replacing my HVAC system my only option for fixing temperature inconsistencies inside my home? A: No. 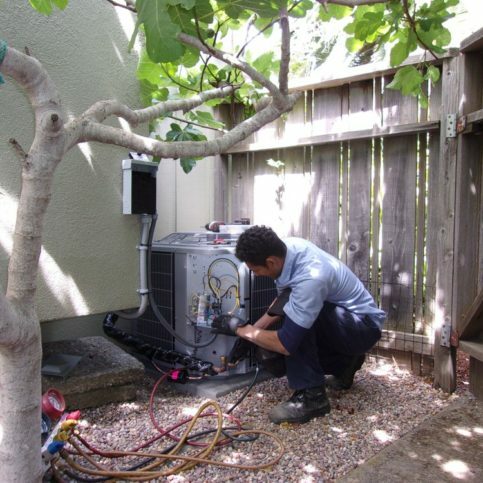 Some companies tell their customers that their only option is to replace their HVAC systems, but we don’t believe in saddling our clients with extra costs if there are other options. We’ll perform an evaluation of your home and look at all the other factors that contribute to rooms being too hot or too cold, and we can often find a different solution that doesn’t require you to replace your current HVAC system. Q: Can you reassure me if I’m nervous about hiring a contractor? A: Yes, you can call us and we’ll talk to you about your specific situation so you feel more comfortable. We’re good at making connections with our clients, and we can educate you about your situation with just a 15-minute phone call. We’ll reassure you and get you excited about the idea of improving your home’s energy performance. Tim Hassler is a 17-year veteran of the HVAC industry and CFO of Hassler Heating & Air Conditioning, a Diamond Certified company since 2014. He can be reached at (510) 400-5759 or by email. A: The Oakland A’s, the Oakland Raiders and, as a UC Berkeley graduate, the Cal Bears. A: “Hawaii” by James Michener. This is actually an example of a Merv 13 filter that we recommend upgrading to. It’s a four inch pleated filter and it does an excellent job of filtering out most dust particles and pollen. At least 60 times more efficient in filtering out particles. For those of you that have problems with allergies, you might want to consider an air purifier. This is an example of one and it has a pleated filter and an electrostatic filter so this does an excellent job of filtering out down to the size of viruses and even bacteria. Another important consideration is to make sure you do change your filter regularly. If you are using the system a lot, you may have to change the filter as often as once every one or two months. If you use it very rarely, maybe its once a year but its something you should monitor because the system is going to operate much better if you do have a clear filter. Hassler Heating & Air Conditioning : Average 8.9 out of 10 based on 175 unique customer surveys of customer satisfaction. I just really appreciate their attention to detail and organization. It is a really high quality organization. They are very professional, very reliable, and their price is fair. Everything was 100% great, from the call, to the service, to the timing. 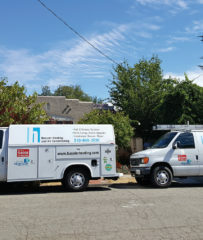 They have exceptional service, because they are connected to the state Energy Savings Assistance Program with Energy Upgrade California. They can really test their systems to make sure that they are working properly, which most installers can't do, because it requires special training. We were happy with them. I have already told some friends how wonderful the experience was, and they already employed them. The crucial thing is that the people who I talked to really listened to my concerns. I have used them on a couple of different properties, and they do a good job. They do small and large jobs very well. I have a professional relationship with them. They are my go-to company. They are quick and fast. They are good, but very expensive. They are well organized and efficient. 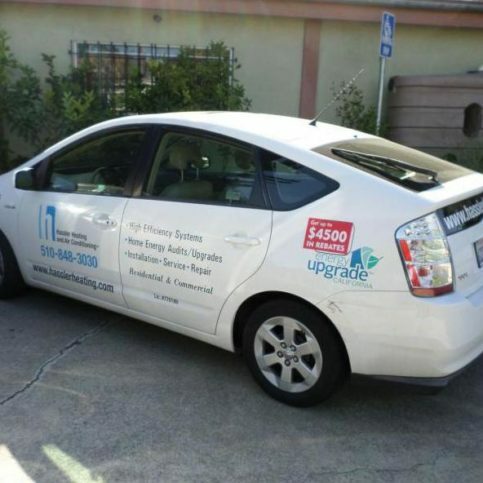 I chose them, because they are super knowledgeable about energy efficiency, and I used them for the 'Upgrade California'. They are super available and professional. They were very knowledgeable, and they were very efficient when doing their work. Their friendliness, the fact that they were descriptive while they were doing the service, and they kept me informed of all the work they were doing. Just that they showed up, the service was great, and they took care of the issues. Also, they charged me exactly what they quoted me. Well, actually, we went there because we live nearby and saw the sign. We don't recall anything specific. They did everything nicely and left. Things have been working well since then.